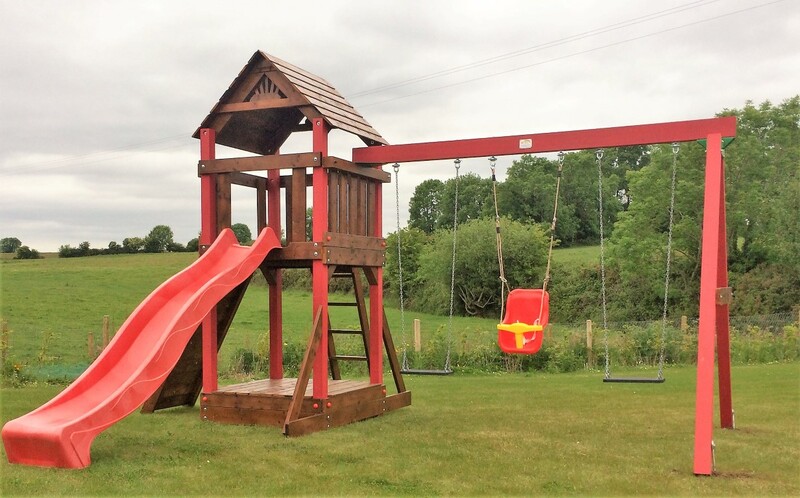 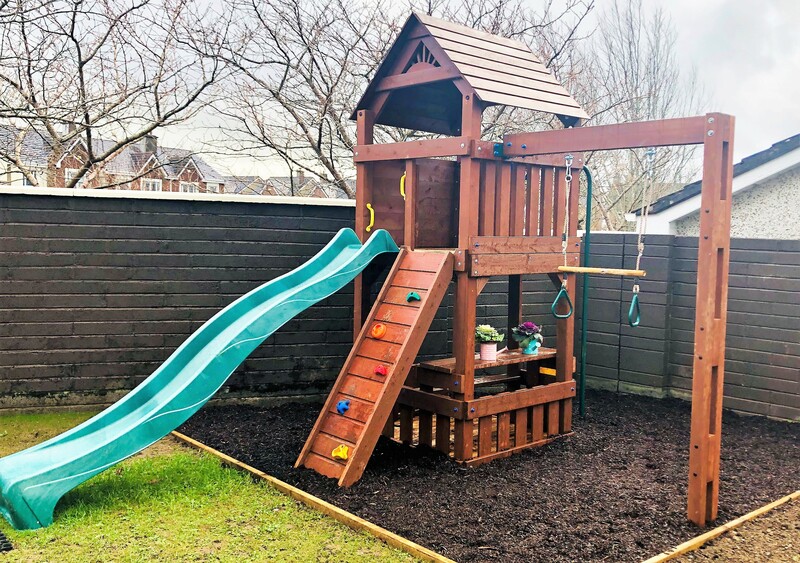 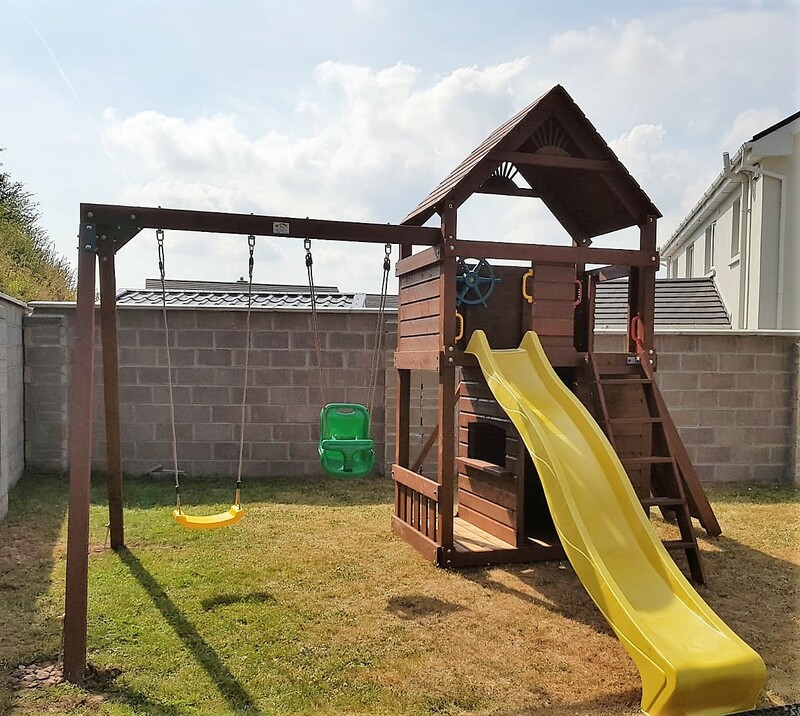 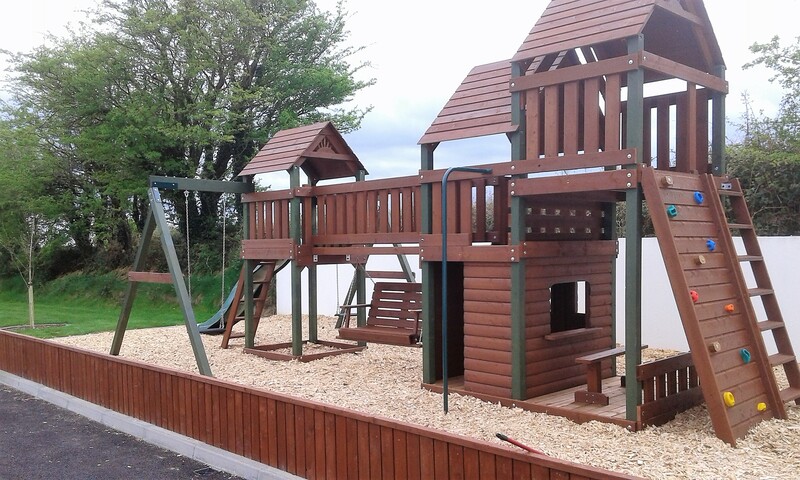 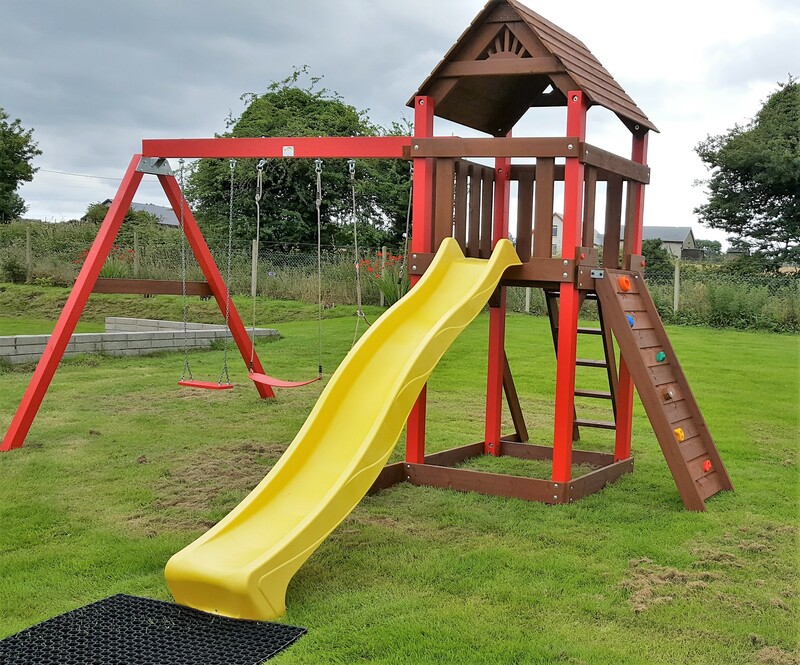 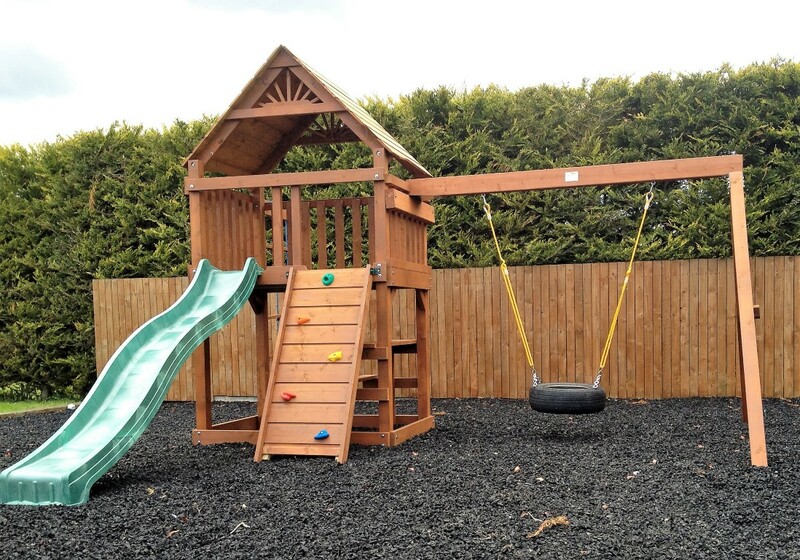 We have the largest selection of IRISH MADE play center in Ireland manufacture to the highest of standards. 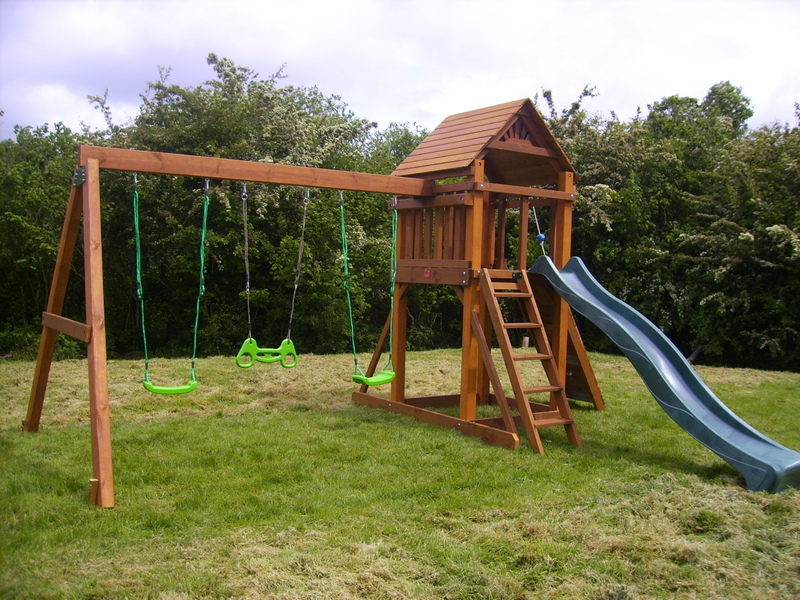 Your family’s play set will be manufactured with a combination of premium grade Redwood,Douglas fir and Scandinavian Pine.Major structural parts such as the swing beam’s are made useing 100% Scandinavian Redwood for maximum strength and durability.Other components are made useing Douglas Fir and Scandinavian Pine both a strong and durable wood. 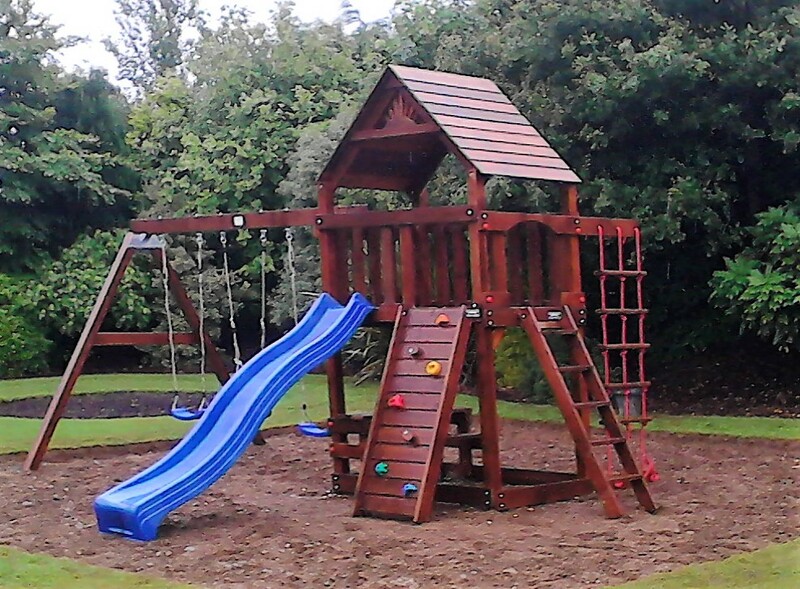 STT Premium range play sets will have a smoother and more finished appearance. 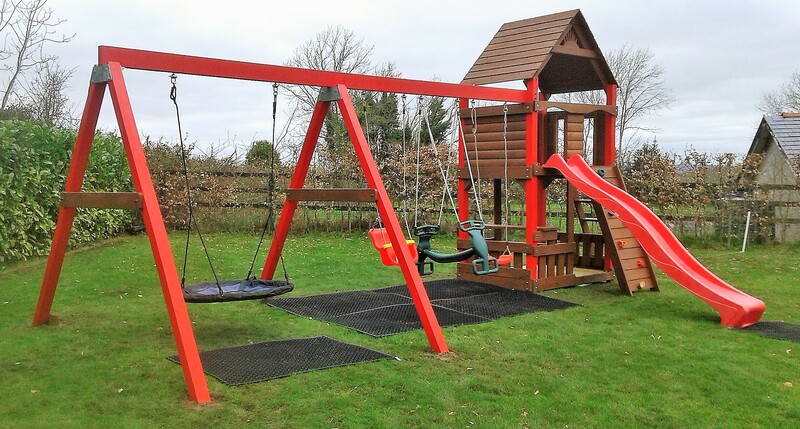 Accessories eg slides, swing seats etc comply with European Safety Standards. 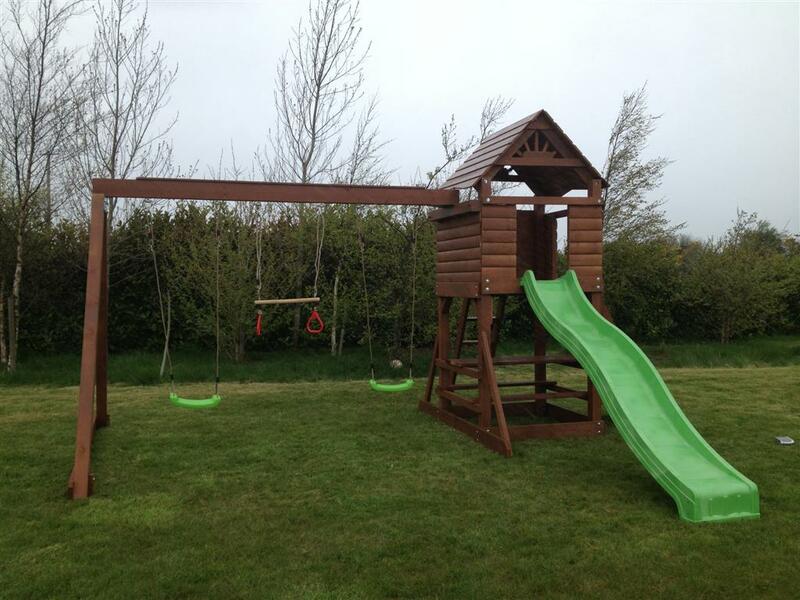 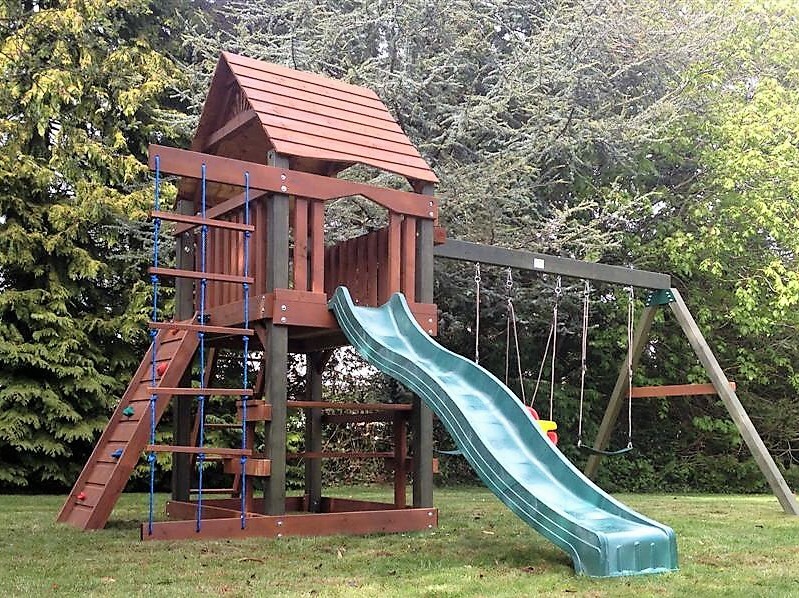 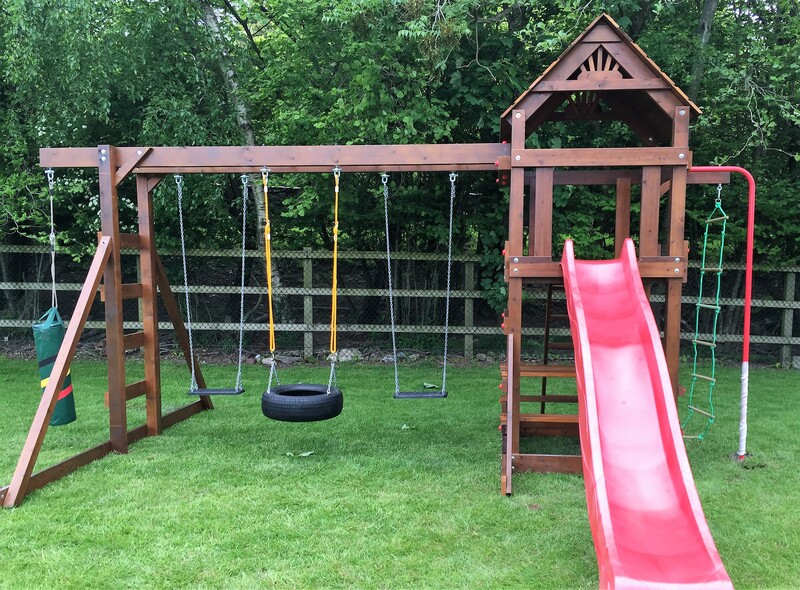 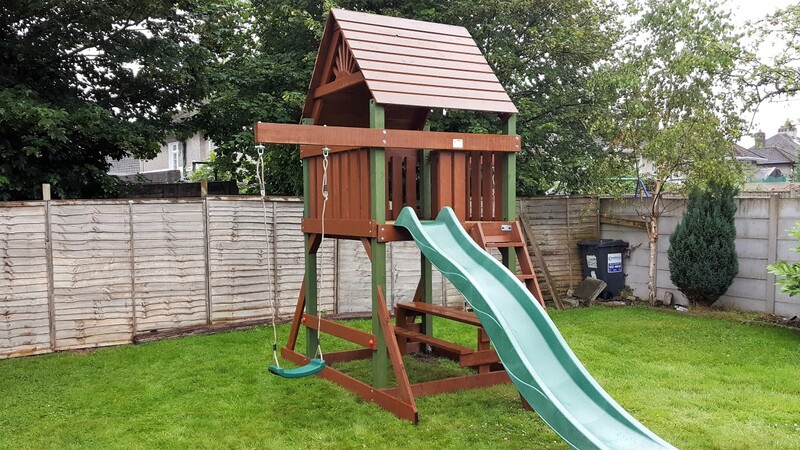 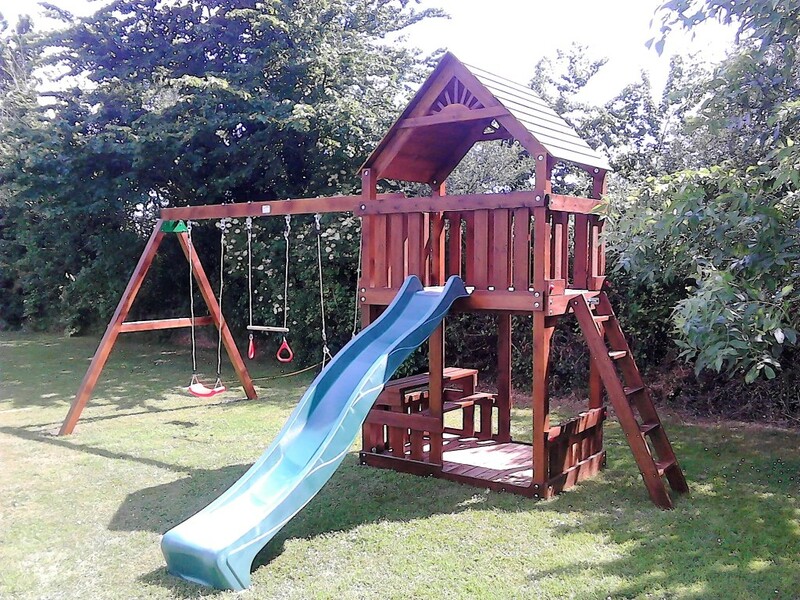 We also manufacture play units to customers own specifications using the same high quality materials and accessories. 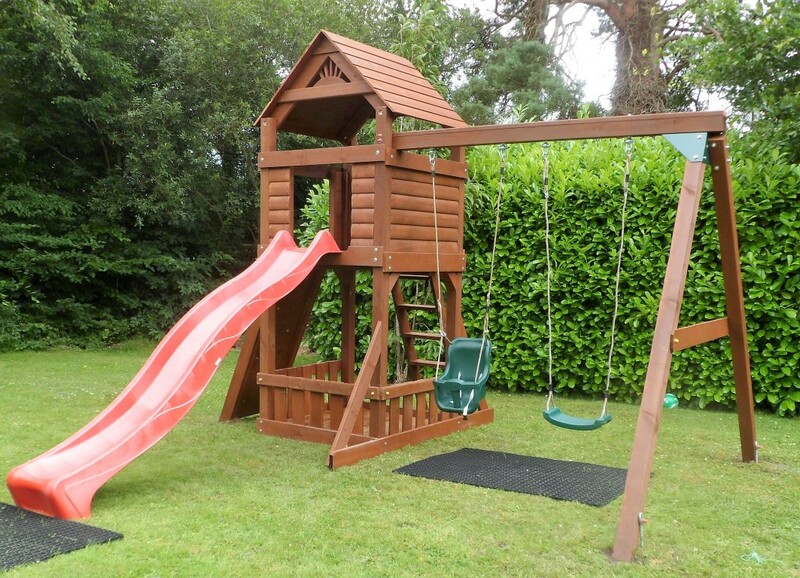 Please note that some delivery and instillations may incure an additional charge depending on location.